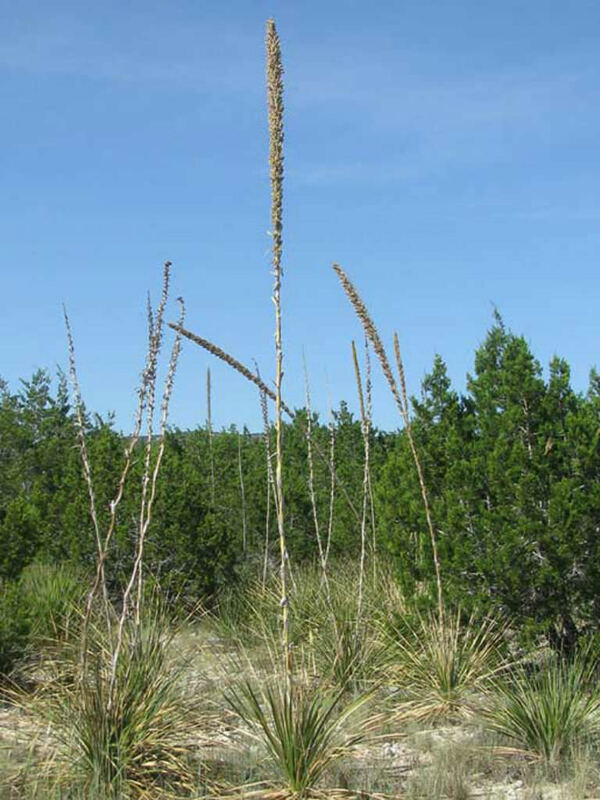 Dasylirion texanum is a grass-like plant, typically smaller than other Dasylirions, with light green leaves, a short trunk and spectacular flower stalks up to 15 feet (4.5 m) tall. 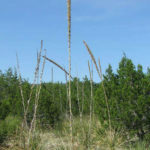 The slender individual leaves are up to 3 feet (90 cm) long and 0.5 inch (1.3 cm) wide, spreading from a central trunk that is sometimes partially buried underground. USDA hardiness zone 7a to 11b: from 0 °F (−17.8 °C) to 50 °F (+10 °C). 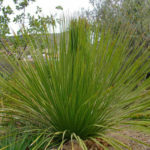 Dasylirions are slow growing, carefree and durable, drought tolerant plant. However, they grow faster if watered well (don’t water the crown, though they rot easily). 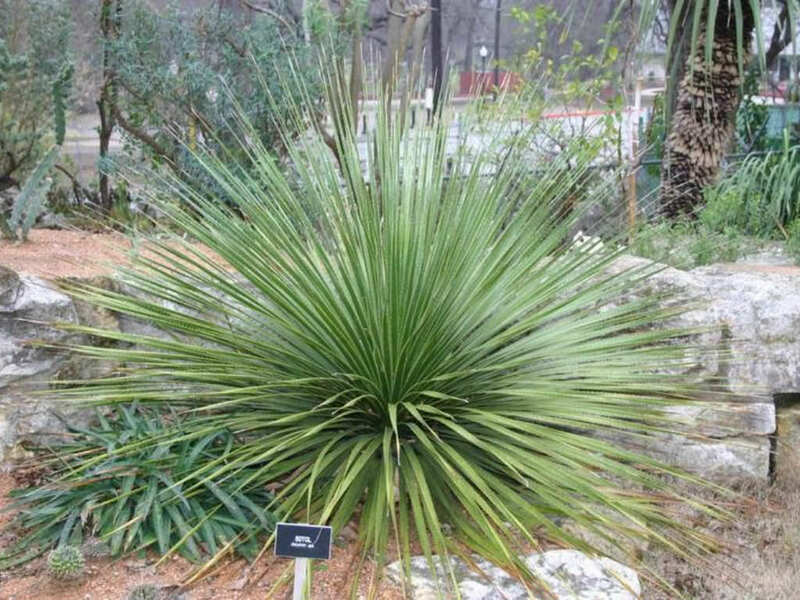 In the garden they should be placed in a sunny, well-drained area with additional summer water in dry climates. 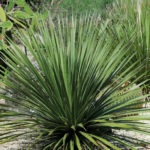 These make great specimen plants for xeriscape gardens and blend well in either tropical or arid gardens. 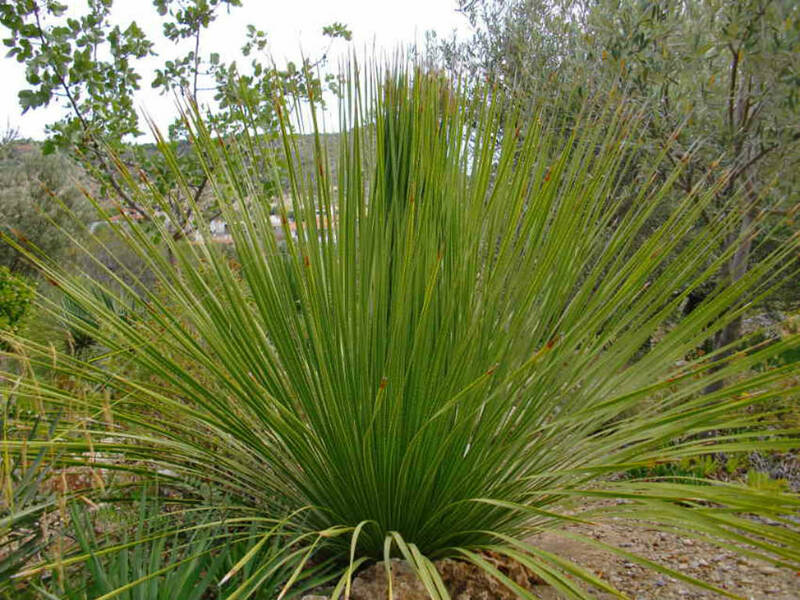 Small plants are relatively inexpensive, but larger ones are a fortune. 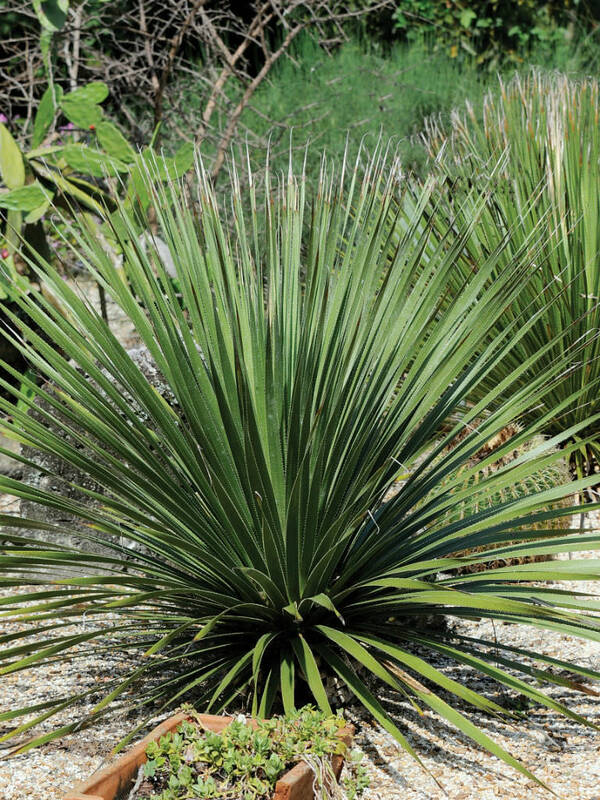 These make excellent potted specimens, and their symmetrical form provides a striking focal point. Native to central and southwestern Texas and in Coahuila state of northeastern Mexico, including the Chihuahuan Desert.